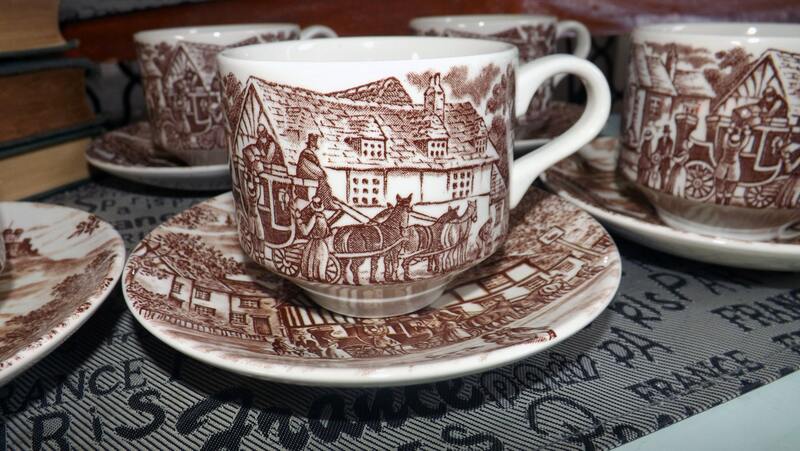 Vintage (1980s) Churchill China Swan Inn Brown tea set (footed cup with matching saucer). 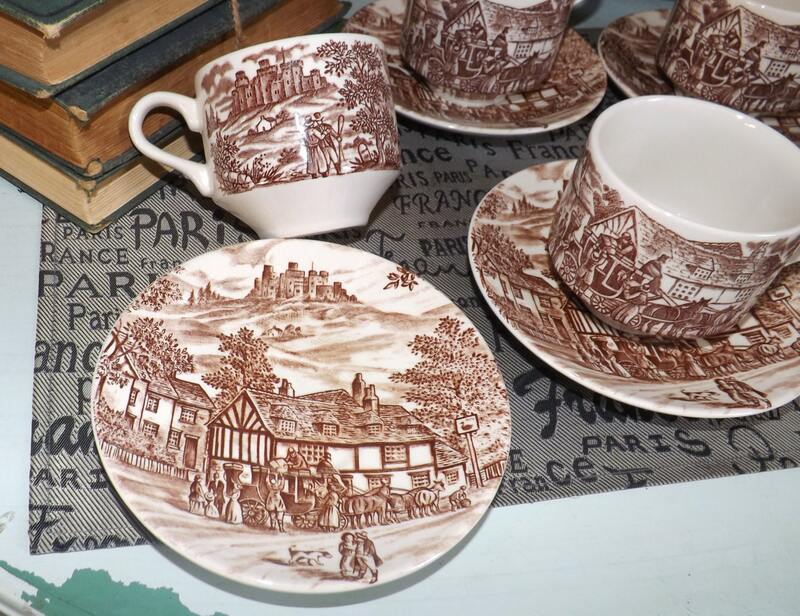 Brown village scene transferware. 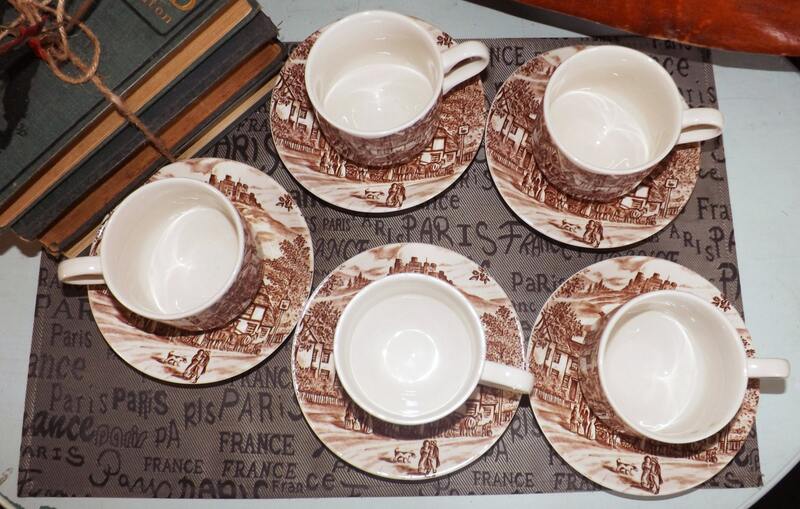 Vintage (1980s) Churchill China England Swan Inn brown transferware tea set (footed cup with matching saucer). In EXCELLENT! condition with NO! chips, nicks, cracks or fleabites, NO! crazing and NO! marks, stains, scratches or other signs of use or wear. Approximate measurements: tea cup stands 3-1/4" H with a 3-3/8" diameter cup bowl. 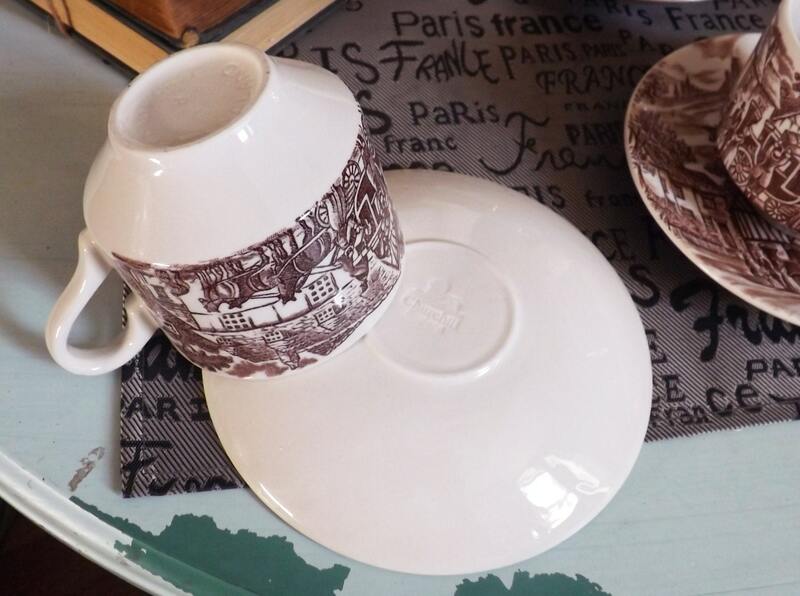 The matching saucer, with a coupe shape is 6-1/4" in diameter.